In general, category is a class or a group of things, people, etc, having some qualities in common. Example: car, cycle, bike blongs to the category vehicle. 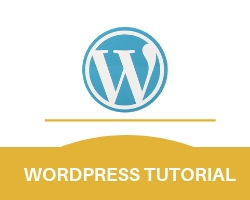 In wordpress, we can have thousand of post in a single website or more, to organize those post in proper manner so that they can be found easily by users. Category also defines the type of post. A post can have multiple categories. STEP 1. Go to the post link on the left bar of the dashboard. A menu will pop up then click on ‘categories’ in that menu. A. Categories page will open and you can see all the existing categories from this page. STEP 1. Go to all category page. A form will appear to add new category, fill that form. Name: Enter the name of new category. Slug:‘slug’ is the URL friendly version. Whatever you want to display on address bar(URL). Parent:This is to choose the parent category for the new category you created. A parent can be choosen from already existing category only and if you don’t want this category to be child of any other category then choose None. Description:This text area is given to describe the category you are creating. It will explain that what is this category all about. STEP 2. Now click on Add new category button just below the new category form. And it will start showing it in the right window of the screen i.e. all category window. We have two ways to assign categories to post. 1.At the time of creating a new post. 2.Categories can be added after creating a post or already created post. 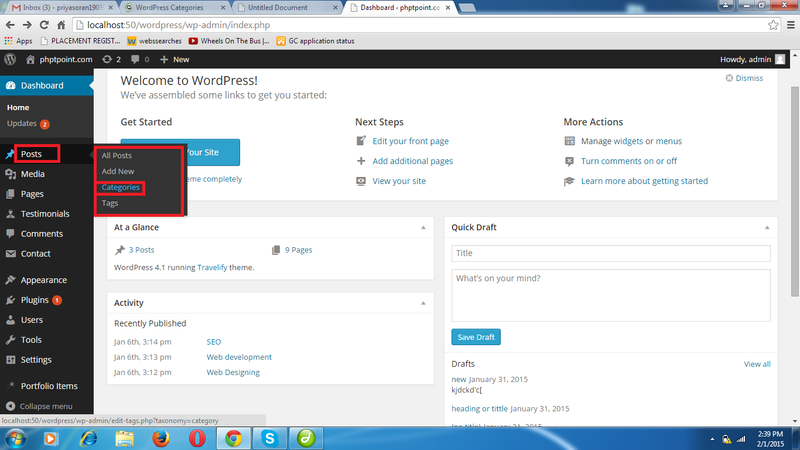 1.Steps to add categories at the time of creating a new post. STEP 1. Go to post link on right bar of dashboard. STEP 2. Click on new post. 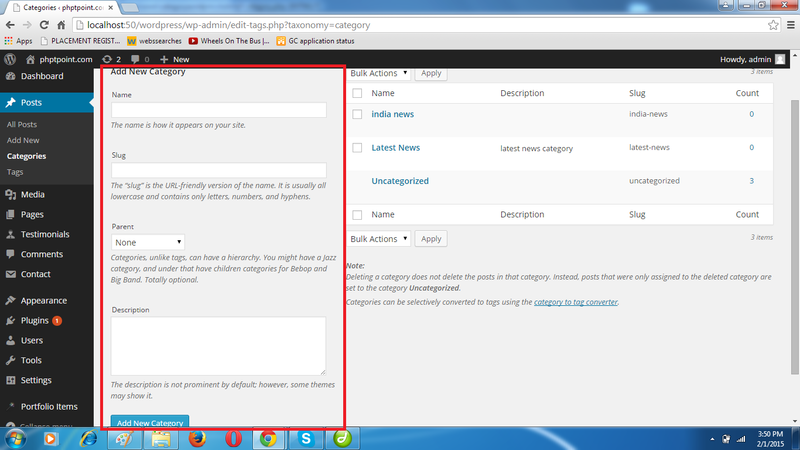 STEP 3.Fill the new post form and select one or more categories for the post or you can create new category by clicking on add new category. 2.Steps to add categories on existing posts i.e. already created posts. STEP 2. Click on all posts. All post page will open. STEP 3.Bring the cursor to the post to which you want to add categories and click on edit option. Edit post page will open. STEP 4. Now, add categories as added at the time of creating a new post. STEP 5. 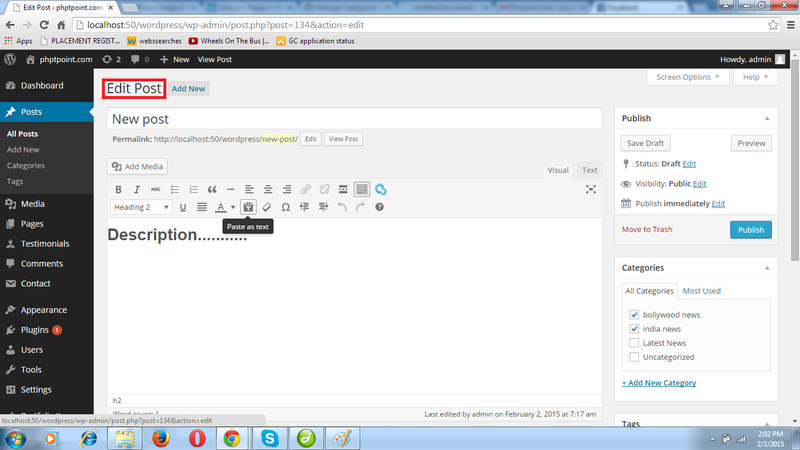 Now, click on publish button in publish window.